With 30+ years of experience in the home construction industry, I have learned all aspects of home construction, from new homes to remodels and additions. I bring this experience to every one of my home inspections. I know how to do things correctly, but I have also seen what happens when things are done incorrectly. I know and understand the structural and mechanical components of a home. When inspecting a home, it is more than just finding existing problems, it is knowing where to look for problems that could occur in the future. To become a fully licensed Professional Home Inspector, I was required to complete the education and training program set forth by the Texas Real Estate Commission. 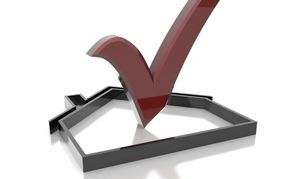 At Metroplex Home Inspections, I am focused on providing quality home inspections in the DFW area with the highest levels of customer satisfaction. Arlington, Azle, Aledo, Bedford, Benbrook, Burleson, Blue Mound, Cedar Hill, Colleyville, Coppell, Crowley, Dallas, Denton, Euless, Flower Mound, Fort Worth, Grand Prairie, Grapevine, Haltom City, Haslet, Highland Park, Hurst, Irving, Keller, Lake Worth, Lewisville, Mansfield, North Richland Hills, North Lake, Pantego, River Oaks, Roanoke, Saginaw, Sansom Park, Southlake, Trophy Club, Watauga, Westlake, Westover Hills and White Settlement. Don't see your city? Give us a call !